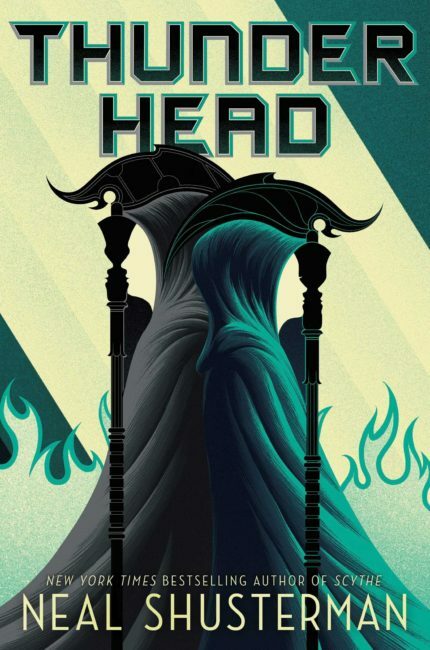 My go-to novel recently has been Thunderhead, the second in a series of books about a near-utopian future with a dark twist (death is nearly impossible in this version of the future, so certain people have the responsibility of serving as the Grim Reaper). I enjoyed the first book in the series, but Thunderhead really takes it to a new level. This is largely because of its focus on the titular Thunderhead, the future version of what we consider “the cloud,” except fully sentient, nearly all-knowing, and nearly all powerful. It’s AI at its best. What’s most interesting to me is that I mean that quite literally: This isn’t the evil AI we’ve so many times in other works of fiction. The Thunderhead is soulfully good. It genuinely looks after humanity’s bests interests on broad and individual levels. In fact, one of my favorite passages of the book is a chapter that introduces the backstory of a new character whose parents deserted him when he was young. He was raised and supported by the Thunderhead itself. It’s sad, in a way, but it’s a great demonstration of the compassion exhibited by the AI. I’ve seen other benevolent AIs in fiction, like in the amazing books by Becky Chambers and even in Star Wars. But they’re AIs at a micro-level. The Thunderhead runs the entire world, not just a ship or a robot. And it’s a good thing. It’s really refreshing to read about this kind of benevolent AI. I would posit that it’s actually more likely this kind of AI will exist in the future than an evil computer mastermind like in Terminator. At least, that’s my hope. Can you think of any other works of fiction that have a benevolent, nearly all-powerful AI? This entry was posted on Tuesday, January 16th, 2018 at 8:48 pm	and is filed under books and tagged with books. You can follow any responses to this entry through the RSS 2.0 feed. Benevolent AI is a great concept. It’s a refreshing take on the idea so many have used–that AI was developed to be benevolent, sees how humans behave, and decides that it’s in our best interest to be destroyed. Expiditionary Force Columbus Day by Craig Alans. Not a very deep book, but a fun read. The AI comes in a little later in the book and is named “Skippy the Beer Can” (which is now the name of my Amazon Echo).